Sometimes the best way to get around, is to go rogue. Even so, there’s nothing stealthy about the 2019 Nissan Rogue, which combines elegant style, dextrous handling, and some of the latest drive assist technologies in one stunning package. The 2.5L DOHC 16-valve 4-cylinder engine with Xtronic Continuously Variable Transmission in the Rogue also offers great fuel economy for the frugal commuter—7.1L/100km on the highway, and 9.1L/100km in the city. Starting at just $26,798, this high-tech crossover SUV is ready to sneak into your garage and make itself at home. The 2019 Nissan Rogue is waiting for you at Go Nissan North. Serving North Edmonton, as well as St. Albert and Sherwood Park, we have both new and used Rogues in stock. Book a test drive today to experience the Rogue for yourself. The 2019 Nissan Rogue is a good looking vehicle, inside and out. Outside, the Rogue has been given an aggressive new redesign with sharper edges and sweeping lines, giving it a sleek, aerodynamic form. Inside, the Rogue offers up to 1,982L of total cargo space thanks to the EZ Flex® Seating System, which makes reconfiguring the cabin space a breeze—while you can easily access your swag with the available Motion-Activated Power Liftgate. The front seats come standard with heating to help keep you warm in the cold, and can be upgraded to quilted leather for improved comfort. 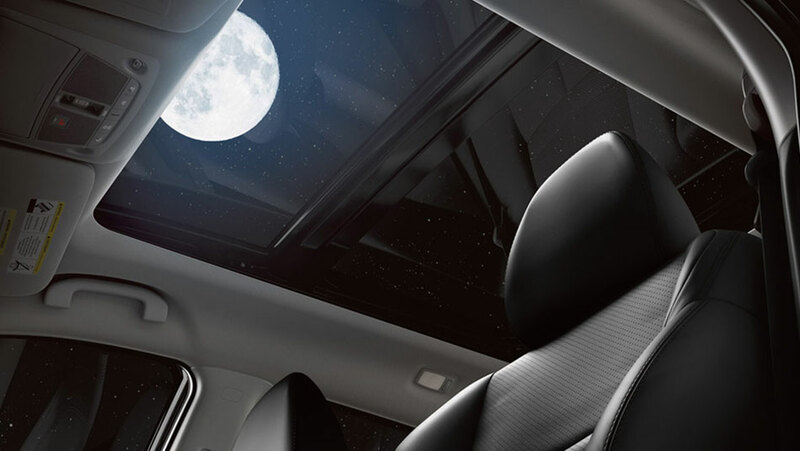 Other improvements include available LED interior lighting, Dual Zone Automatic Temperature Control, or even a Power Panoramic Moonroof. 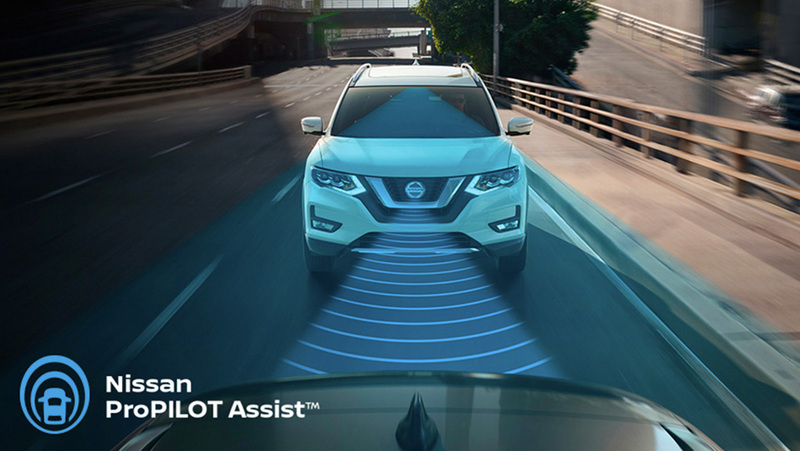 The 2019 Nissan Rogue is outfitted with a whole toolkit of standard driver assist technologies to help watch your back. Intelligent Emergency Braking warns you if it detects a potential head-on collision, Blind Spot Warning keeps you aware of any vehicles cruising in those hard-to-see spots behind you, and Rear Cross Traffic Alert forewarns you if a vehicle is approaching while you’re backing up. Consider upgrading to the ProPILOT Assist, which can help keep you centred in your lane, and even help control your speed in traffic. Even beyond driver assist technologies, the Rogue is packed with safety features to make sure you to your destination in one piece; from six standard airbags, to tire pressure monitoring, to a rear door alert which reminds you to check the back seat before you lock up.